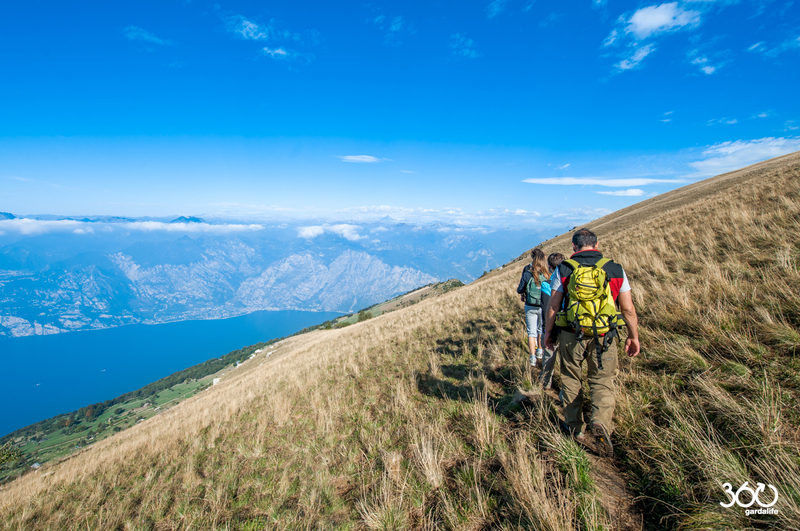 Here are some suggestions for hiking trails in different levels, indicated for families and experienced hikers as well. 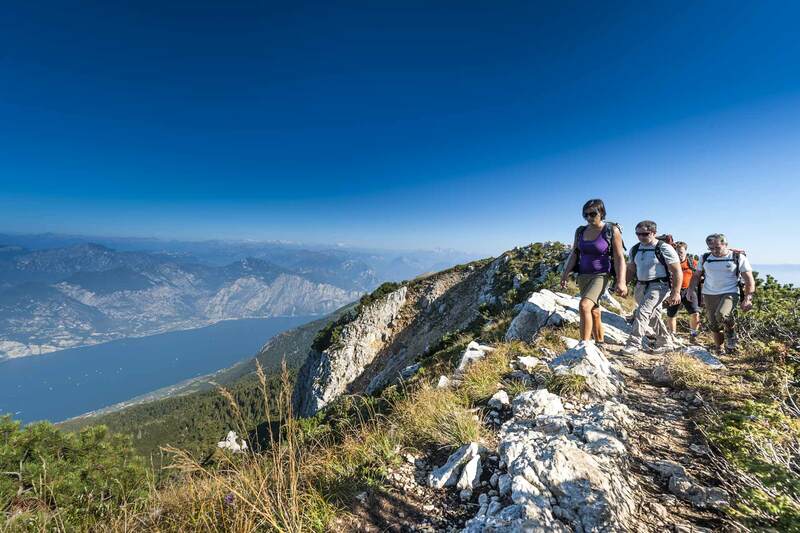 Hiking on the most beautiful trails of our mountain in complete safety. 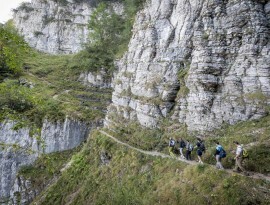 A very panoramic route, easy and relaxing, suitable for everyone. 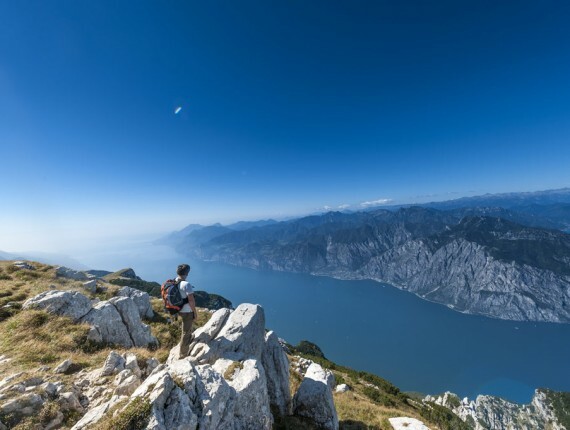 Plenty of panoramic views over Lake Garda, the Presanella, the Adamello and the prealps of Veneto, Trento and Brescia are there waiting for you. 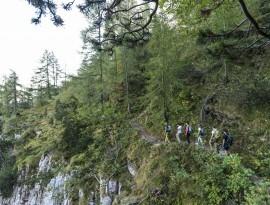 The path is 3.6 km long with only 179 meters of positive height difference. 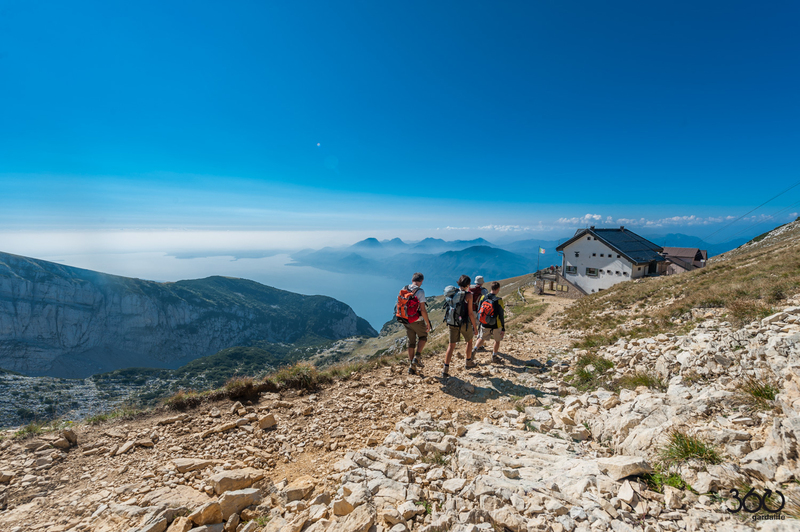 It starts from the cable car station going north along the ridge of Monte Baldo and goes back to the cable car down to the trail 651 and uphill on a comfortable white road. 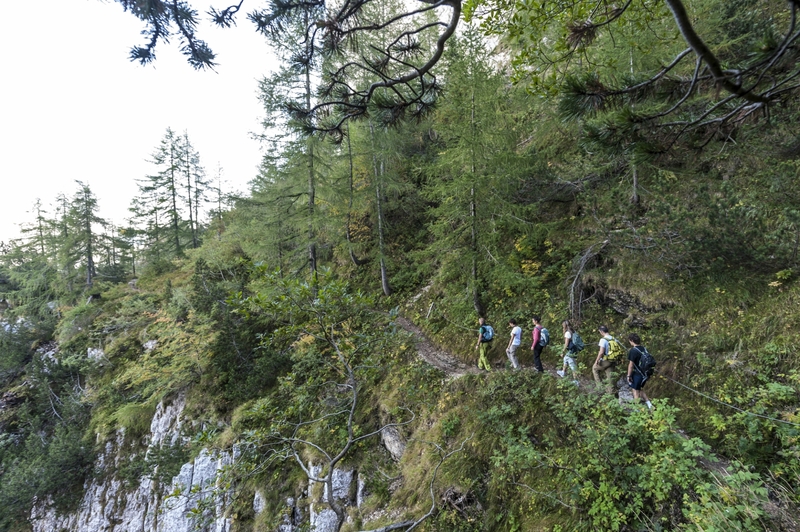 A nice, exciting route along the trail of Ventrar: this is our botanical paradise. 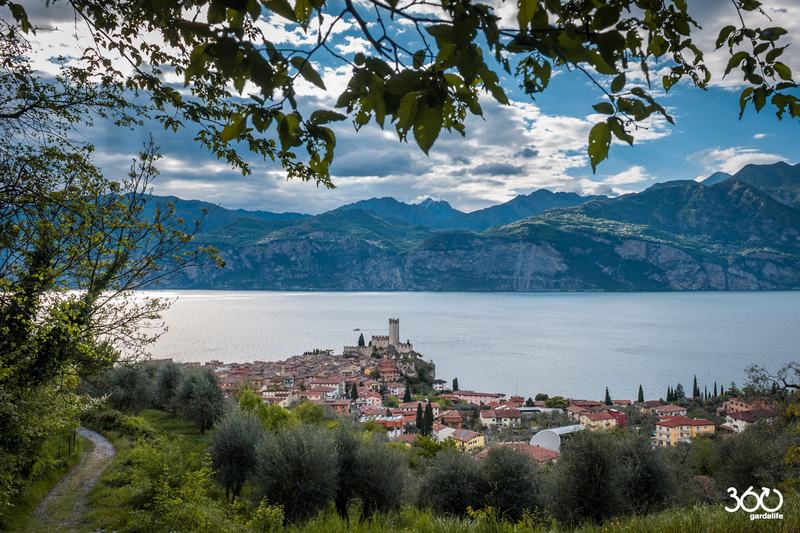 The Ventrar is about one kilometer long and cuts into the northern wall of the Colma of Malcesine. 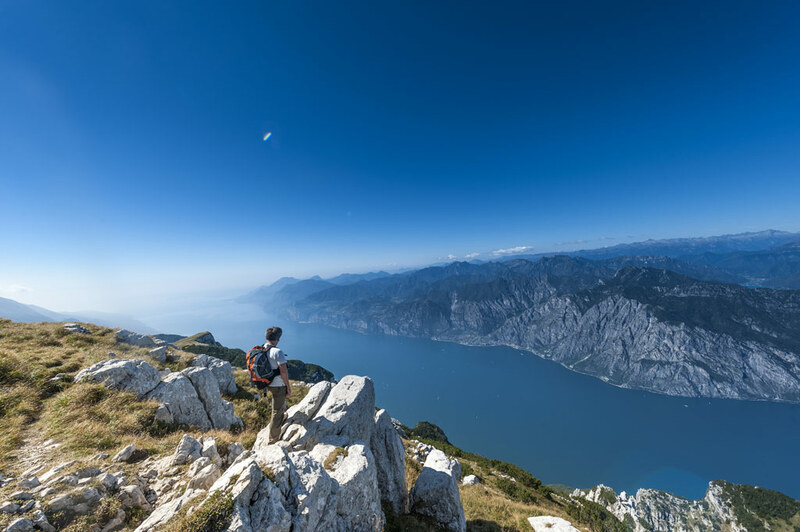 The landscape is partly rocky and partly panoramic with beautiful views over northern Lake Garda. 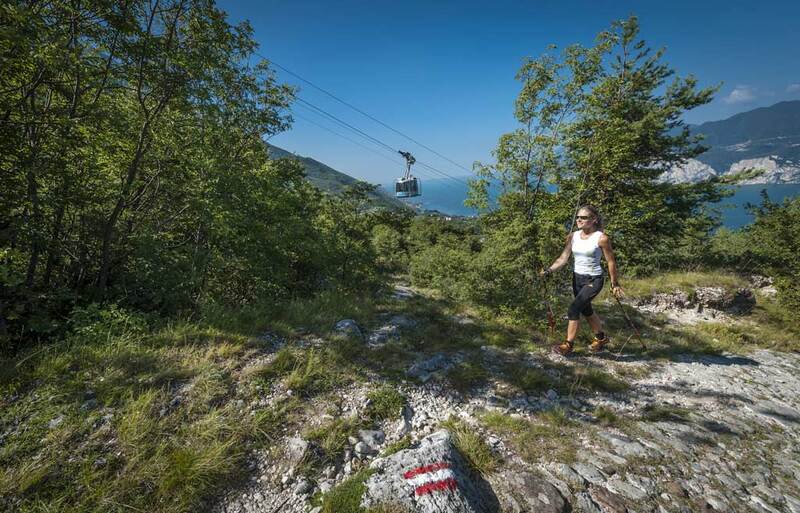 It is a circular route, it starts and comes back to the top station of the cable car, it is 4.88 km long with 514mt of positive and 506mt of negative height difference. 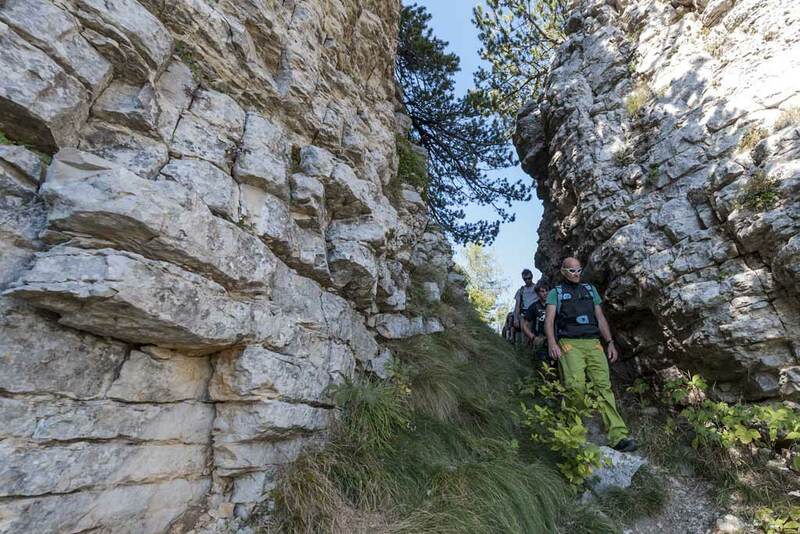 Although it is an easy trail, the Ventrar is exposed, classified from CAI as EE and suitable for experienced hikers. 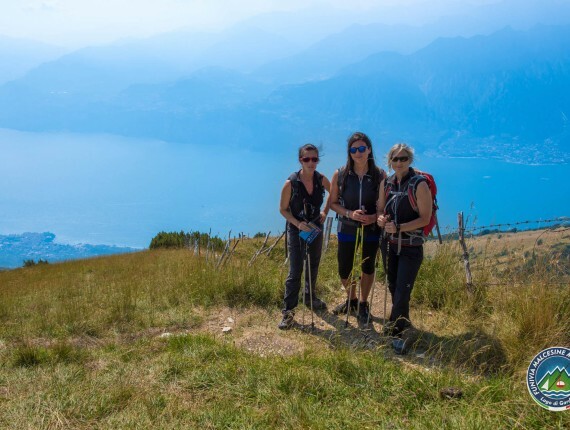 This tour can be considered as the queen of the excursions of Monte Baldo and should be done at least once if you are on Lake Garda. 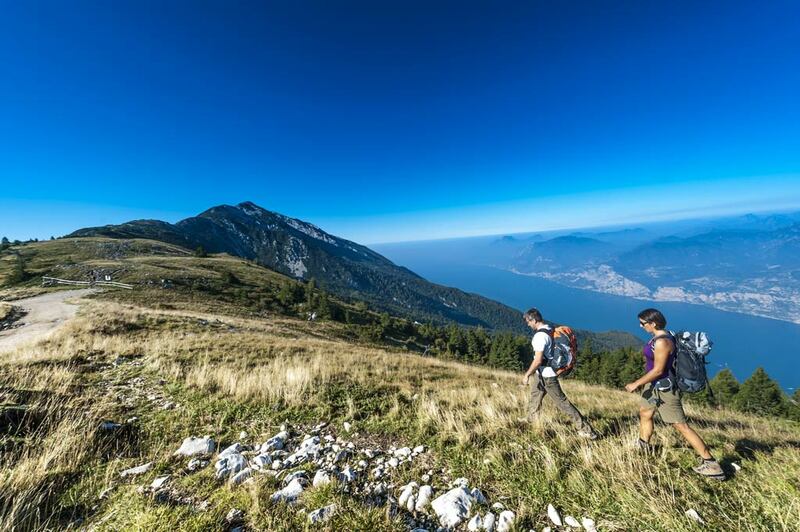 You will spend a nice day far from the crowd discovering an unexpected Monte Baldo, with an Alpine taste. 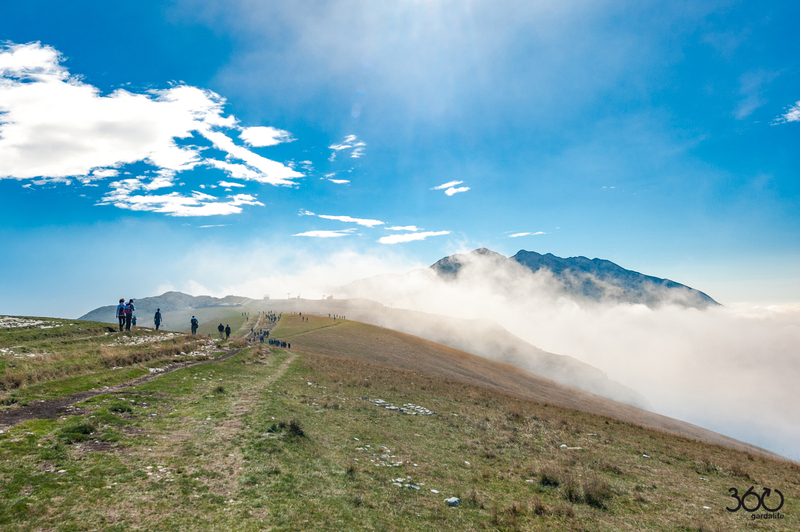 The route follows the ridge of Monte Baldo; it starts from the top station of the cable car and leads to Telegrafo peak passing through Pozzette peak (2128 mt), Longino peak (2180) and Valdritta peak (2218), the highest of Monte Baldo. 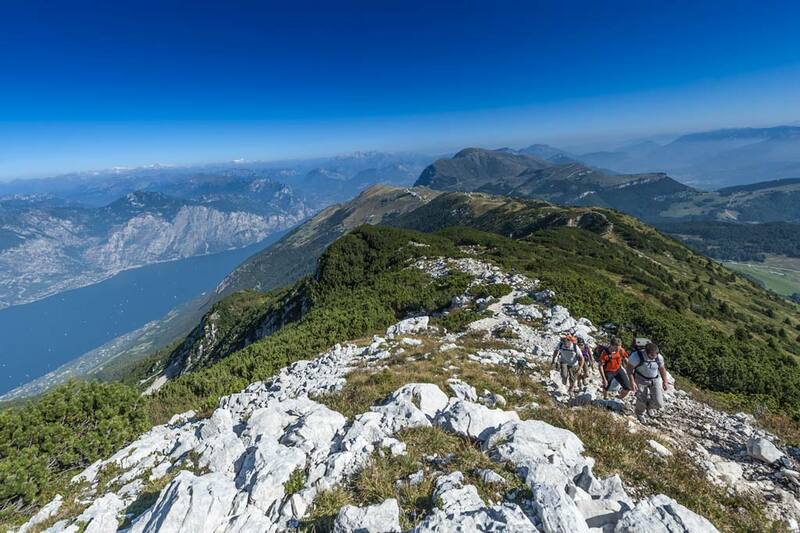 It is 9 km long, with 818mt of positive and 433mt of negative height difference, suggested for experienced hikers. 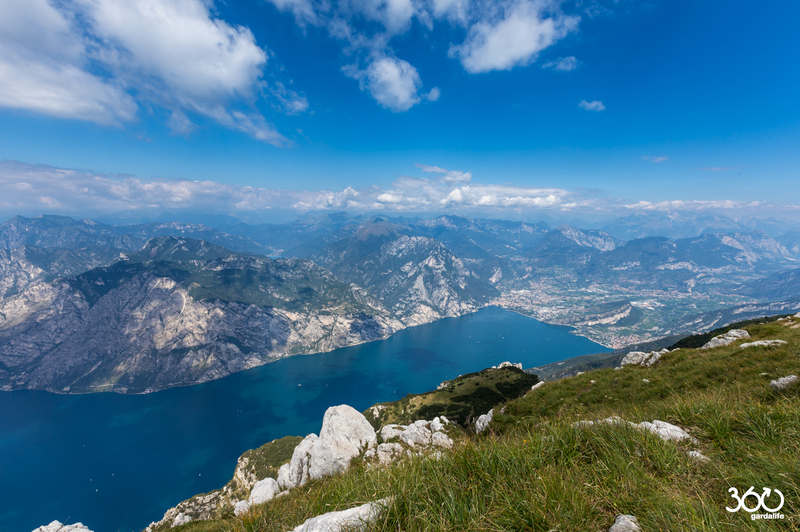 The Monte Altissimo of Nago is 2079 meters of height and belongs to the chain of Monte Baldo. The view from the top is astonishing, among the most beautiful of the zone. Along the trail you can visit the trenches of the first world war. The trail is 7 km long and you need about 3,5 hours to cover it. Waiting for you there are 700 mt uphill and 300 mt downhill height difference. 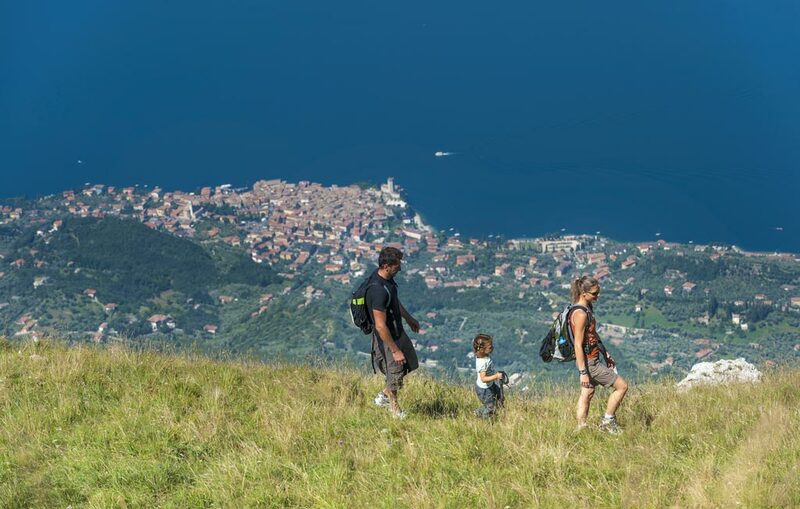 The tour starts from the top station of the cable car and reaches Monte Altissimo passing through Bocca Navene and climbing over trail 651. 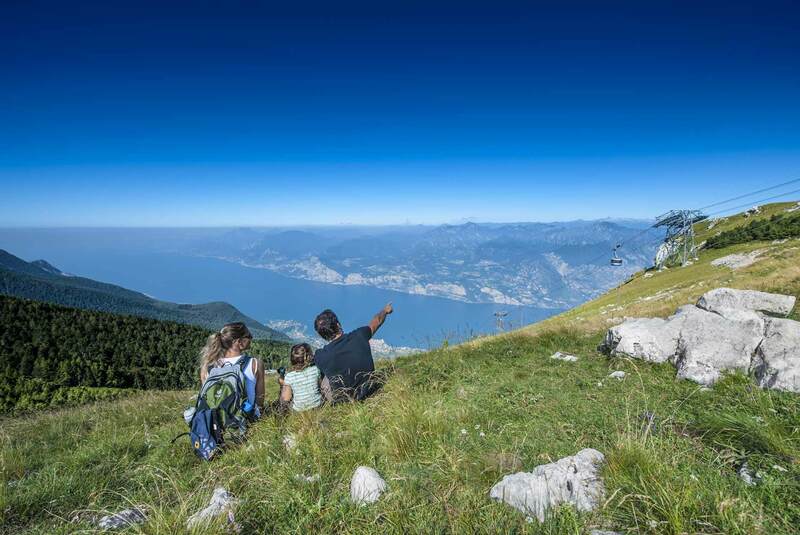 A long, panoramic and various route which takes you from the shores of Lake Garda to the summit of Monte Baldo, at the cable car station. Breathtaking views wait for you there, especially during the last stretch. Shortly before the crossroads with Ventrar trail there are some ruins of old first world war fortifications. 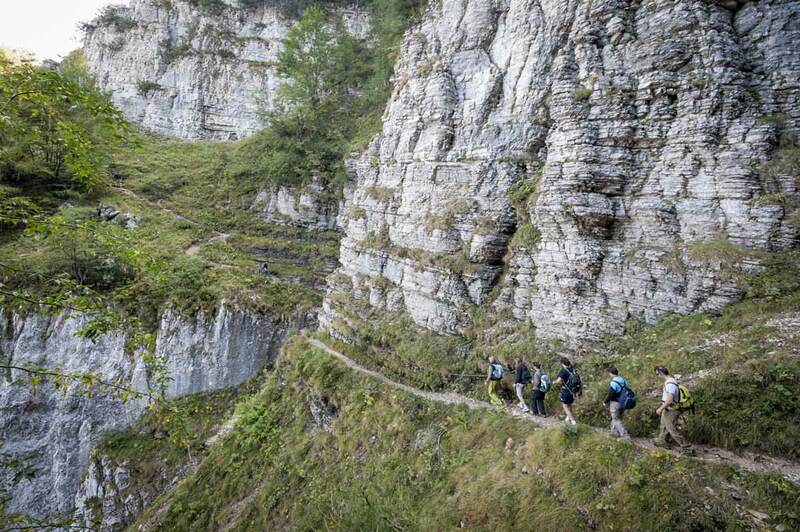 The path is 11 km long with 1815 meters of positive height difference and can be done in 5 hours. 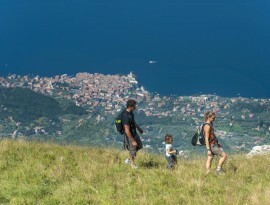 Is suggested for well trained walkers ready to face 11 km uphill. It can be also done in reverse. 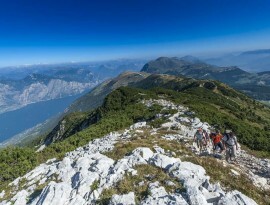 The descent is very long: better avoid it if you suffer problems with your knees. 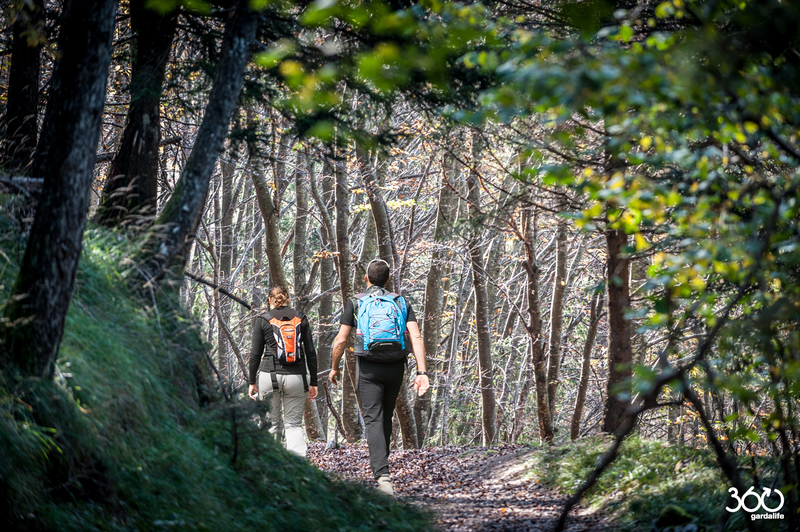 A nice path starting from the middle station of San Michele to Monte Baldo passing from the integral nature reserve Lastoni Selva Pezzi, one of the areas of major interest for botanical and wildlife around the Baldo. The area is rich in rare and endemic species of fauna. 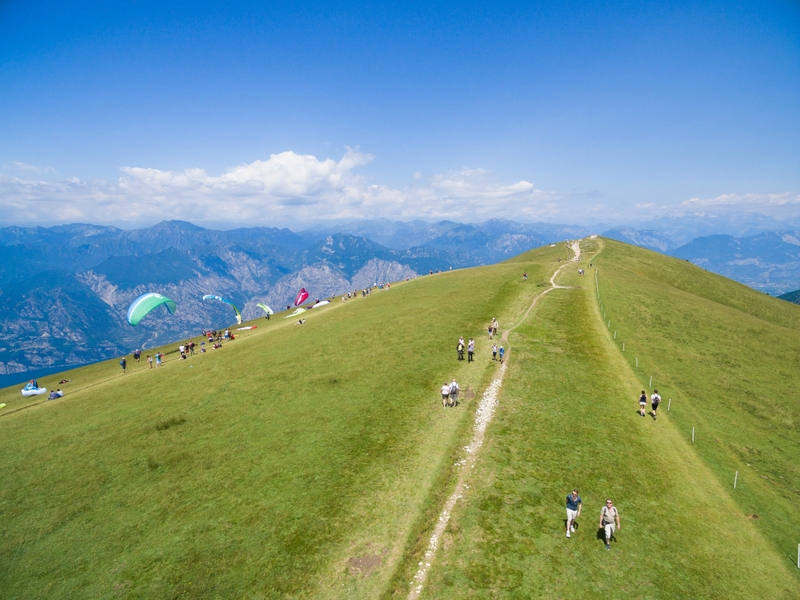 The tour is 7.33 km long, with average difficulty, and takes about 3 hours. You have to walk along 1350 meters of positive height difference. 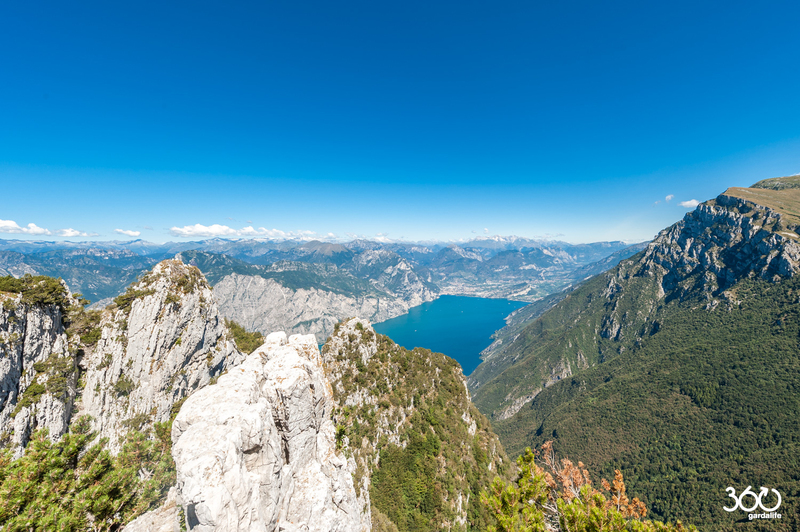 It can be done in reverse descending to San Michele from the top station of the cable car. An easy/average route, very panoramic which from Malcesine leads to San Michele going up on the beautiful muletrack of Paier. The route is various, switching from uphills on muletrack, concrete and trail along 3 km of uphill on 550 meters of positive height difference.